This is the tale of how a perfectly planned trip to Hawaii instead became the most amazing travel experience of my life. Every so often I am fortunate to plan a vacation which includes my mom when my wonderful husband can’t go with us. My daughter, my mom, and I have made some great memories over the years with our “girls’ trips” to Disney World. I thought I would really surprise Mom and plan a trip to Disney Aulani in Hawaii. 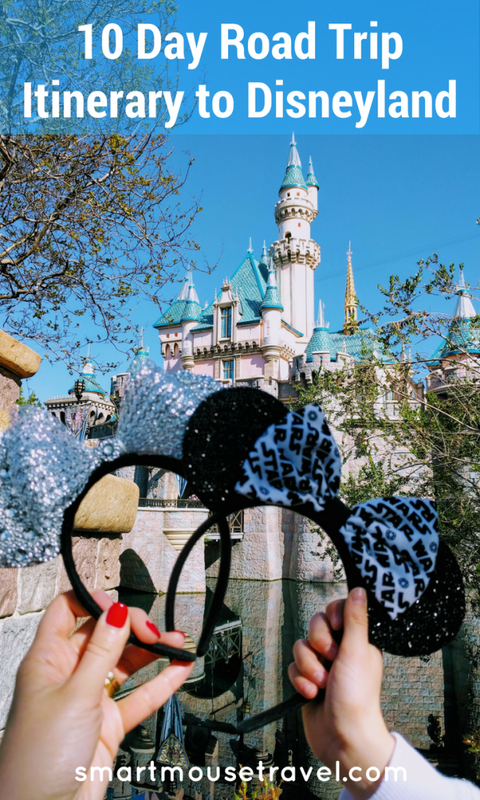 Sand, sun, leis and the Mouse – I spent a lot of time imagining my mom being overjoyed and how she would thank me profusely for coming up with a great trip idea. It didn’t go exactly as planned. “I think we’ll be bored”, she said, brutally truthful. Wait. What?! I couldn’t believe she was turning down the idea of Hawaii. Instead she suggested we go on a road trip out west. She thought it would be fun to go on a trip to see the Grand Canyon and end up at Disneyland for the usual shenanigans. However, she was pretty vague on the how. “I know you can plan an amazing trip”, she said. “We always have so much fun”. Flattery will get you everywhere. This was well outside my realm of expertise and I was a little nervous. However, as I starting looking into it I found myself getting excited about planning this Disneyland road trip. 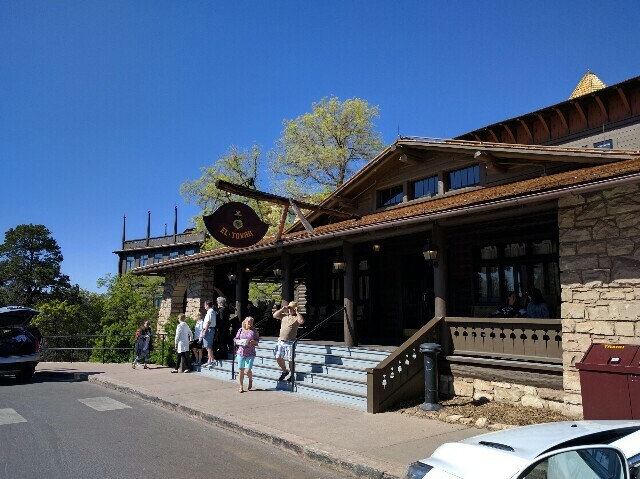 I knew I wanted to stay on the south rim of the Grand Canyon for our trip, but when I began to research lodging I found most recommended booking a year or more in advance. You know what, people know what they are talking about. I booked June 4th, 2015 for a stay May 25th and 26th, 2016. I called, booked a room, but had second thoughts immediately after I hung up. I called right back, but the other option was already gone. This was no joke. Once El Tovar at the Grand Canyon was booked this trip got real. 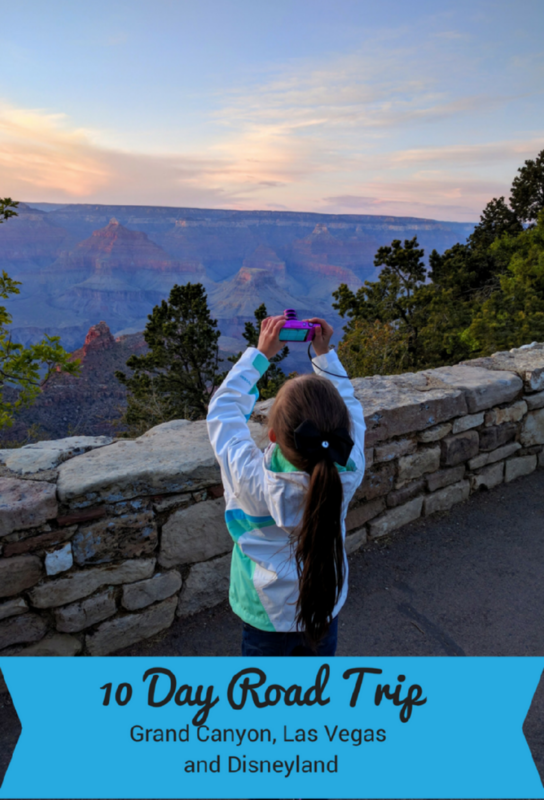 I read books about the Canyon, Disneyland, the American Southwest (since I had no idea how to make the trip from the Grand Canyon to Disneyland interesting for us) and pinned a ton. I also looked at map after map to try and make sense of the geography. I hate road trips. Did I mention that? But my mom had buttered me up, and I can’t back away from a challenge so here I was. However, since I hate road trips I had very strict rules in planning the itinerary. We made it to Disneyland! I know this exact trip format won’t work for everyone, but I broke it down into segments that I hope are useful to lots of different families. This road trip to Disneyland is still one of the best trips of my life. I must also admit something. I now love road trips. Are you going to Disneyland in California? I have helpful articles for you! Hi Debbie! Thank you so much for the positive feedback. I will have to check out Pei Wei when I head out of John Wayne this spring – thank you for the recommendation! Our family loves road trips! 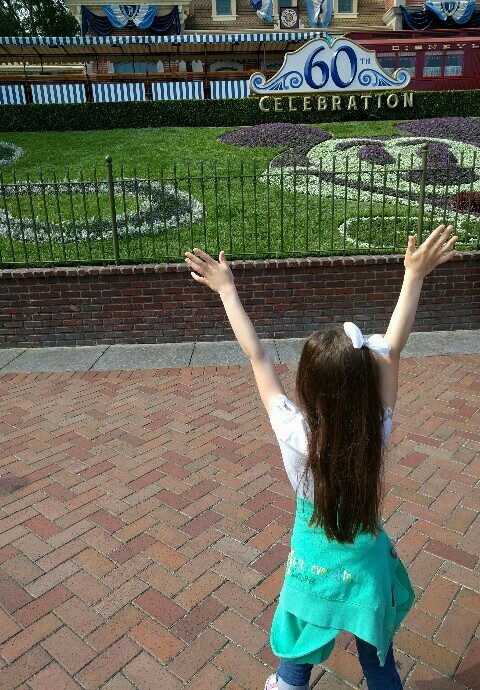 And a road trip ending with a visit to Disney sounds amazing! What a great idea! Great post! I went on a roadtrip to the Grand Canyon from Las Vegas. I’ve always wanted to visit Sedona!